Make your own professional marketing videos in minutes. GForces has joined forces with vidbuild to provide our customers with a managed service like no other. Start producing stunning, premium quality video content for a fraction of the usual cost, and in a fraction of the time. We’ll save you time and effort of creating video content for you to use in your marketing, by running your vidbuild account as a fully managed service. Put your feet up and reap the benefits of engaging and emotive video content, and reach your audience more effectively and more efficiently than ever before. vidbuild has some of the world’s leading content providers (including Getty, iStock and Storyblocks) contributing to its media library. This means you get access to all of the best video footage, audio tracks and voice over artists, without footing the usual bill. 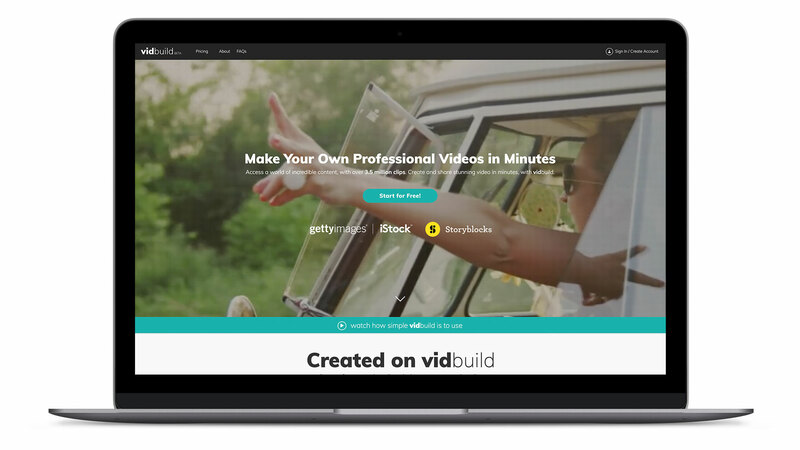 vidbuild is an all-in-one, with millions of media clips to choose from to create your perfect video, and a simple video editor that anyone (at any level of experience) can use. Simply select your favourite clips, or upload and use your own content, and then start branding! Uploading your own logos, adding messages, or even using your own video or audio content is all possible. Simply download your masterpiece and you are free to use it where and how you choose. Interested in learning more about the vidbuild platform and managed service? Click below to visit the vidbuild website. Alternatively, you can contact a member of our team today using the form below.